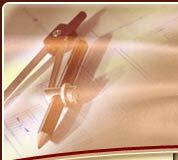 HARMON GENERAL CONTRACTORS, LTD. excels at working with other professionals. We strive to develop long term relationships that will last a lifetime. Your project means more to us than temporary employment. It is an opportunity to build not just a structure but a way for us to improve the community while providing you with an excellent value. Our goal is to add value to your project by utilizing our knowledgeable staff and professional project management to complete it on time and within budget. If you have commercial needs, please give us a call and we will gladly meet with you to discuss your project.